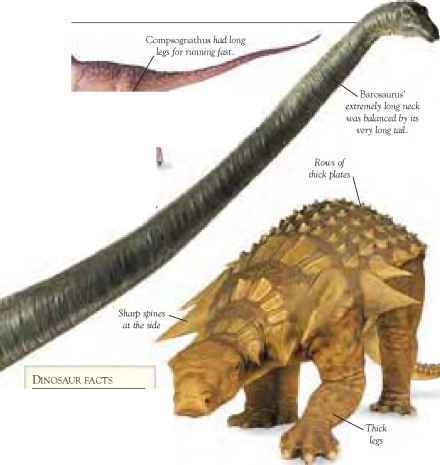 The size and shape of a dinosaur's head, body, and legs help us to tell one dinosaur from another, and also tell us how the body parts were used. From the skeleton inside to the scaly skin outside, each part of a dinosaur helps build a picture of these amazing animals. The shoulder and pelvic muscles were crucial areas of power for light, fast runners as well as slow, heavy plodders. The largest dinosaurs were not always the mightiest. Some of the smallest dinosaurs were powerful runners. Hip muscles fighting males Strength and power were not always used to kill. Male dinosaurs may have fought each other over females or to win or defend territory. Beaten, and possibly bruised, the loser would need to move on to other hunting grounds. Small and lightweight, Ornitholestes used much of its energy powering long legs when chasing small prey such as lizards and mammals. 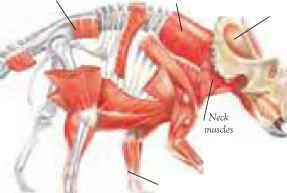 Strong muscles Centrosaurus needed powerful muscles to move its heavy, bulky body. Muscles attached to the pelvis and shoulders pulled and lifted strong legs. When running fast, Centrosaurus would have been difficult to stop in its tracks. 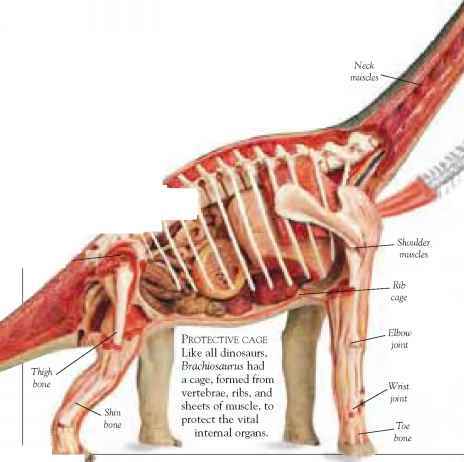 What muscles move the vertebral?